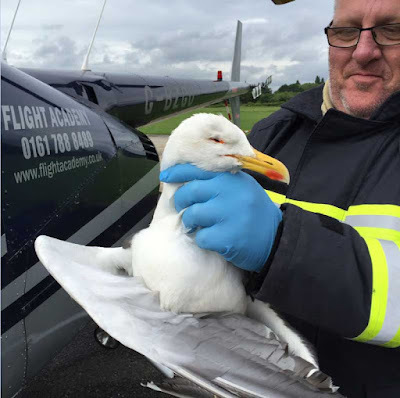 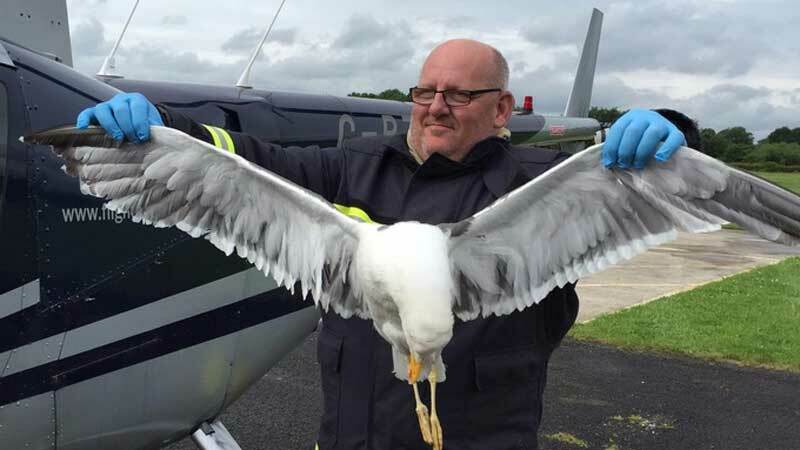 A seagull that crashed into a helicopter, smashing its windscreen, caused the aircraft to plunge 800ft and the captain to make a mayday call. 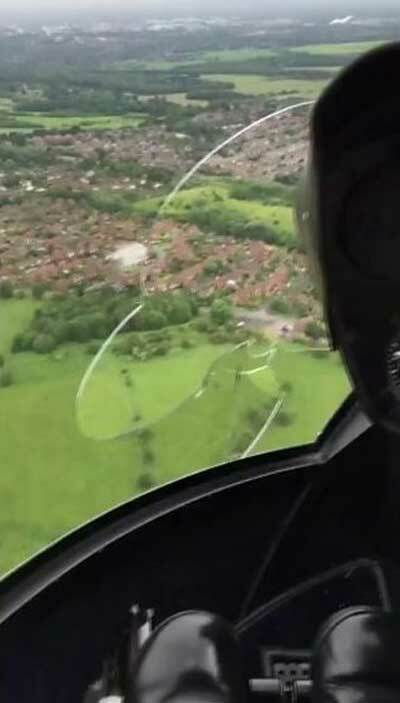 Phil Robinson who was training Howard Stott, from Burnley, was however, able to safely land the machine at the City Airport and Heliport, Eccles, following the drama above the skies of Bolton, Greater Manchester. The bird smashed into the helicopter cockpit, as it travelled at the equivalent of 100 miles per hour, hitting Mr Robinson and knocking the controls out of his hand as Mr Stott grabbed the bird. 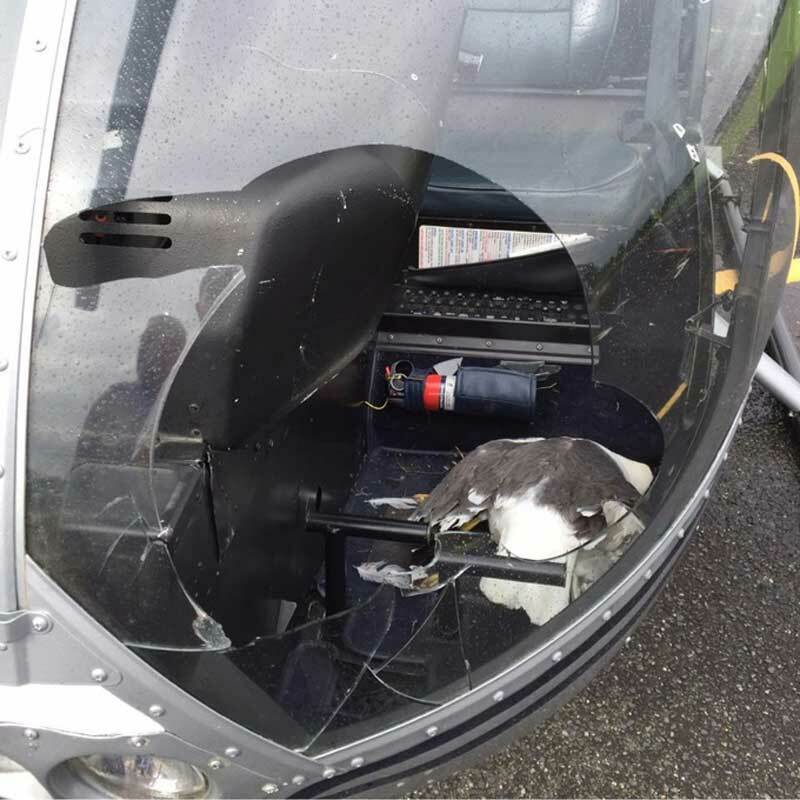 The helicopter was at 1,500ft (457m) and they ended up at 700ft (213m) prompting the emergency call on Monday. The bird died and is now in a freezer at the airfield. They plan to stuff it and display it in their club room. 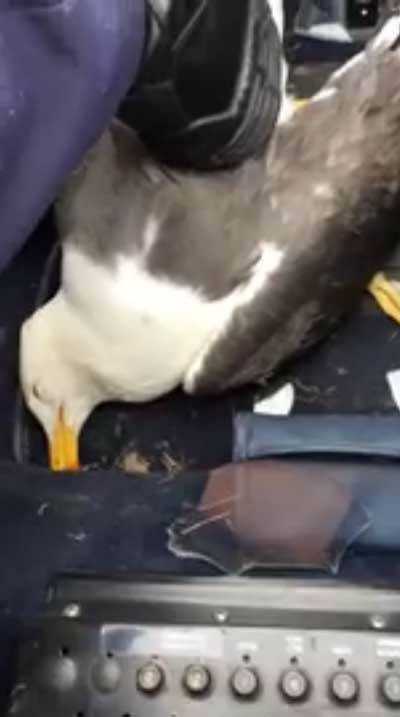 There are different videos here and here.